Home Surplus is your source for brand new, high quality solid wood kitchen cabinets, bath vanities, kitchen and bath countertops, sinks, doors, and more for your home. We stock most of the products that we sell which means that you can have your fully assembled solid wood kitchen cabinets and solid wood bath cabinets or prehung doors in just days instead of weeks. We also offer custom order cabinetry and hardwood flooring for your kitchen, bath or any room in your home. Our design team will be glad to help you with any ideas or questions you may have. Visit one of our stores in Camden County & Monmouth County, NJ or shop online at our Web site HomeSurplus.com. You’ll always find a nice selection of products to improve your home without breaking your budget. Wm. B. Morse Lumber Co.
For over 16 years Raydoor has been designing and manufacturing elegant interior sliding doors, sliding walls, sliding stacking walls, folding doors and room dividers. Our sliding doors are light weight, easy to install and easy to operate. Proudly made in NY. 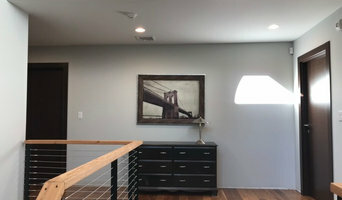 Authentic Window Design is an Authorized Marvin Design Gallery serving the New York, New Jersey and Connecticut tri-state area. 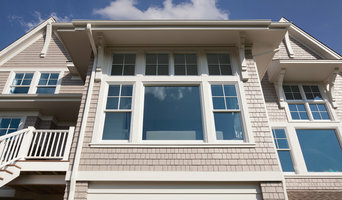 AWD will design, sell, install and service your Marvin custom windows. You can choose the best windows and doors, but if the installation isn’t done properly, you may encounter problems. All AWD installers are Marvin authorized and train continuously – up to 800 hours/year cumulatively. We’re so dedicated to ensuring your windows and doors perform as expected we back our work with a Lifetime Installation Warranty. In addition, we’re licensed, insured and EPA Lead-Safe certified. UnitedPorte is an international manufacturer of premium interior doors and built-in storage solutions. The vast product range of CLASSIC and MODERN collections is designed in Italy and produced using high-precision automated woodworking technologies and European eco-friendly materials. Since the beginning our mission was to provide most demanding customers with the interior design solutions which are customizable, lifestyle-driven and affordable. Our mission is to design and build the finest doors and entryways, handcrafted by artisans using a perfect blend of engineering and technology with old world craftsmanship. Established in 1990, Chautauqua Woods is based in New York’s historic Chautauqua Lake region. In close proximity are the foothills of the Allegheny Forest, known for their native red oak, maple and other fine hardwoods. Every year since 1874, the nearby Chautauqua community has welcomed America’s cultural elite for summers of art, lectures, learning and classical music. History has also blessed this wooded lakeland with a heritage of fine furniture making. Our skilled artisans take pride in the enduring quality and details that are an integral part of every Chautauqua Woods product. Like our region, Chautauqua Woods is a local institution with a national reputation. No other doors compare with the inner strength, outer beauty and feel appeal of these elegant entries. Every door in our collection is designed and crafted by the most influential European manufacturers, choosen by us for their design excellence, relentless attention to detail, and impeccable craftsmanship. BellaPorta stands for luxury, elegance, quality and reliability. Our mission is to establish the concept of doors being a vital part of American interior design while providing unprecedented quality of customer service in the industry. Our product selection features many exclusive collections of european doors, in a wide gamut of styles, materials, colors, and configurations. What makes BellaPorta products so radically different from any other door vendor is our diversity of expert-selected designs combined with a guaranteed quality of production.. From design consulting to sales, installation, support and maintenance- we maintain a close relationship with our customers to ensure that they are fully satisfied by our products. Our values are rooted in exceptional customer service, hence we ensure that you can always find answers from our professional, knowledgeable staff. We invite you to redefine your door. We are a New Jersey based (Roselle Park NJ, 10 minutes from Staten Island) frameless glass company, specializing in shower doors, and commercial glass. We have been in business over 12 years, and all of our staff are well qualified technicians with years of experience in the industry. Why choose a frameless shower? First, Clean modern design. When you walk into a bathroom with a Frameless showers offer simple design, and ability to display your beautifully tiled shower. Second, the ability to design your shower in any space, really allows you to be conscious of the space available while still keeping a very open feel. See for yourself, we have wonderful pictures, and most importantly we are available almost 24 hours a day by email or phone. So don’t wait. Contact Us Today! 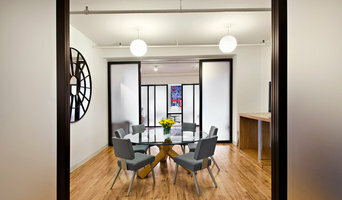 Brooklyn's Finest Doors & Fixtures Visit Our Showroom Today! Brilliant Views Bi-Fold Glass Door Systems was born out of our enchantment with the way these doors transform a house! We come from Design and Construction backgrounds and decided to focus our efforts into bringing these doors into the lives of more homeowners at affordable prices! Brilliant Views Bi-Fold Glass Door System expands your living and outdoor entertainment spaces seamlessly, with an easy-to-open wall of glass that greatly enhances your home’s character and value. Our Bi-Fold Doors are constructed from the highest quality materials with expert craftsmanship. The frames of our door system are made of thermally broken, eco-friendly, recyclable aluminum, which is more sustainable than vinyl and wood. We also include pleated insect screens free of charge. We are proud to announce that we have added our new line of Slide and Stack Glass Door Systems to our lineup! Both systems are available in several standard as well as custom sizes and colors and we ship anywhere in the contiguous United States. Contact us today for our special trade discount pricing program. Fine Italian doors: sliding, pocket, glass, closet. Maintenance free residential exterior door doors manufactured in Italy, Germany, Austria and Spain. Specializing in custom orders, but have a very wide selection of doors in stock. There are many reasons why our doors should be your Top choice. The DoorEXPO is a combination of a beautiful Italian design, a thoughtful craftsmanship that Italy is famous for, great technicalities, a passion for perfection and a creative variety of solutions for an outstanding performance. Whether it’s a glass sliding door, a pocket door, a room divider, a solution for closets, or simply interior or exterior doors, we offer a perfectly functional solution for any of your needs. To your comfort, most of our interior door collections are Universal, you do not need to specify whether it’s a left or right opening at the time of ordering. This can be determined at the time of the installation. From Modern to Traditional, Contemporary to High-tech, our doors are a perfect final touch to your home design. If you desire beauty, luxury and style you would appreciate our selection manufactured by leading Italian factories and designers.d appreciate our selection manufactured by leading Italian factories and designers. Novo Porte is an official distributor of European steel doors. We offer a complete range of our own products and the production of interior doors manufacturers we were working together for years and who have proven their experience. Welcome to Milano Doors, your supplier of modern interior and exterior doors! We are proud to offer you a great collection that will help you create a clean, stylish, and more sophisticated look for your home or office. At Milano Doors we pride ourselves on offering a wide range of styles and sizes what will work with any architectural design. Please speak to one of our sales associates about special orders – we are always there to assist you! Milano Doors – modern door with a touch of Europe. Long Island Luxury Folding Glass Windows & Doors Best of Houzz 2018! At Doors and Beyond you'll find popular exterior and interior doors in every design and style you're looking for. Our inventory is stocked with the leading important door designs, including: modern interior doors, french interior doors, wall panels and more. We offer pre-hung doors, door parts, modern and classic door handles, and everything you need to make sure your home is perfectly designed for style and comfort. We stock doors of all different types of wood, including mahogany, oak, pine, bamboo, and more. We even have double doors available, as well as traditional doors, custom doors, and pocket doors. We carry nearly every type of door and door part in stock, available immediately with a price that is easily affordable for even the tightest budgets. We also carry slab doors, pre-hanging doors, and door hardware. We ship in the continental US and Canada. Feel free to call us anytime to get latest information about our products. Dori Doors & Security, INC, is known for our excellence in Custom Design, Aluminum & Glass Doors, Storefront, Deco Ironwork, Fire Rated Doors and Landmark Fabrication. Dori Doors provide full service design, installation & repair. A family-owned custom glass and mirror company located in downtown Millburn, NJ. We specialize in both residential and commercial projects. ¿Qué hacen las empresas de puertas en Nueva York, NY? Estas empresas ofrecen tres tipos de servicios básicos. Primero, diseño de puertas, ya sea para interiores o para exteriores. Segundo, instalación de puertas, que incluye la preparación de la pared y del marco, así como el ajuste y cambios que deban hacerse para que el encaje sea perfecto, aspecto básico cuando estás montando puertas correderas. Finalmente, también ofrecen servicios de reparación de puertas, sobre todo cuando se trata de cambiar bisagras, arreglar manillas o atender cualquier otro desperfecto. Si lo que buscas es renovar los accesos exteriores a tu casa, quieres un portón de hierro para tu recibidor o necesitas una entrada motorizada para el garaje, mira los perfiles de los profesionales en Accesos y pavimentación, Forja y Puertas de garaje para dar con el experto perfecto. ¿Por qué contratar a diseñadores de puertas en Nueva York, NY? Hay veces en las que nos enamoramos de productos, electrodomésticos o, incluso, de casas enteras. No hay nada que podamos hacer para evitar desear, con todas nuestras fuerzas, tener esos mismos productos en nuestro hogar. En estos casos, si dispones del presupuesto necesario, no tienes por qué renunciar a tu producto ideal; simplemente tienes que encontrar al profesional adecuado. Por ello, si te estás planteando renovar más de una puerta y tienes una idea muy definida o si quieres cambiar solo una pero no das con el modelo perfecto, busca diseñadores de puertas que puedan responder a tus necesidades específicas. Lograr dar con el producto perfecto puede costarte un poco, pero no tiene por qué ser costoso en términos económicos o de tiempo. ¿Tiene un seguro de responsabilidad civil profesional? ¿Puede responder a necesidades particulares concretas? ¿Puede mostrarte ejemplos de instalaciones que haya hecho? ¿Qué coste cree que tendrá el proyecto? ¿Puede facilitarte una estimación por escrito? Pregunta por cómo cobra las distintas partes y materiales. ¿Qué dificultades ve en el proyecto? ¿Cuánto tiempo cree que durarán las obras? Encuentra empresas de puertas en Nueva York, NY. Mejora los resultados de la búsqueda en la sección “Profesionales” incluyendo el nombre de tu ciudad o comunidad autónoma. También puedes consultar las fotos de casas de los profesionales de Nueva York, NY para encontrar expertos que hayan trabajado en proyectos similares al tuyo.